Save over $500 on this 2 night 2 day Sturgeon Package for only $460 per person based on 4 people. It’s almost that time again, our river seminars are only a few weeks away. 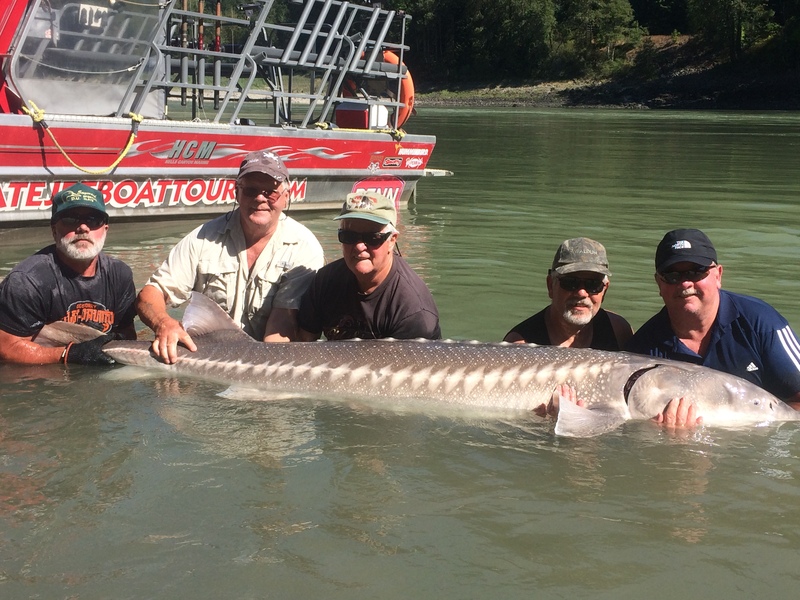 HCome join us and learn everything there is to know about the Fraser River and Sturgeon fishing. 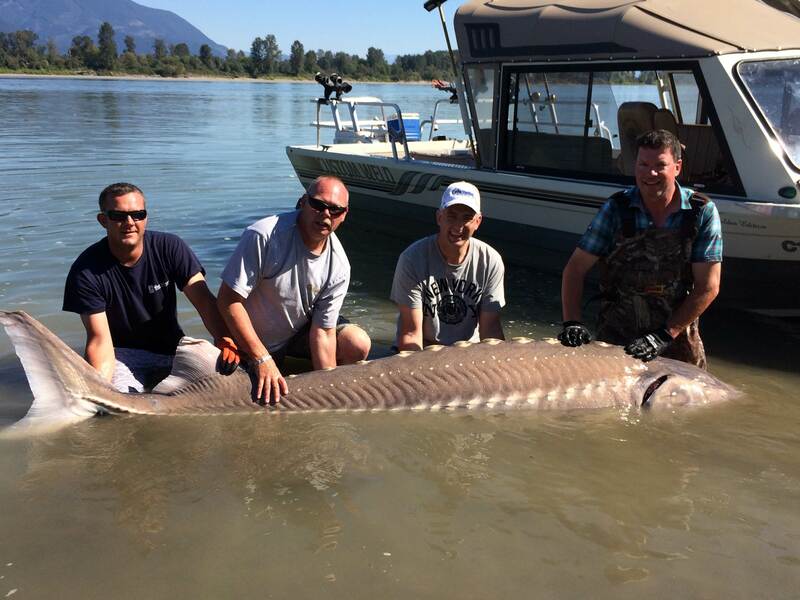 Some amazing sport fishing happens each year on the Fraser. Take advantage of our trade show specials coming soon to a town near you. 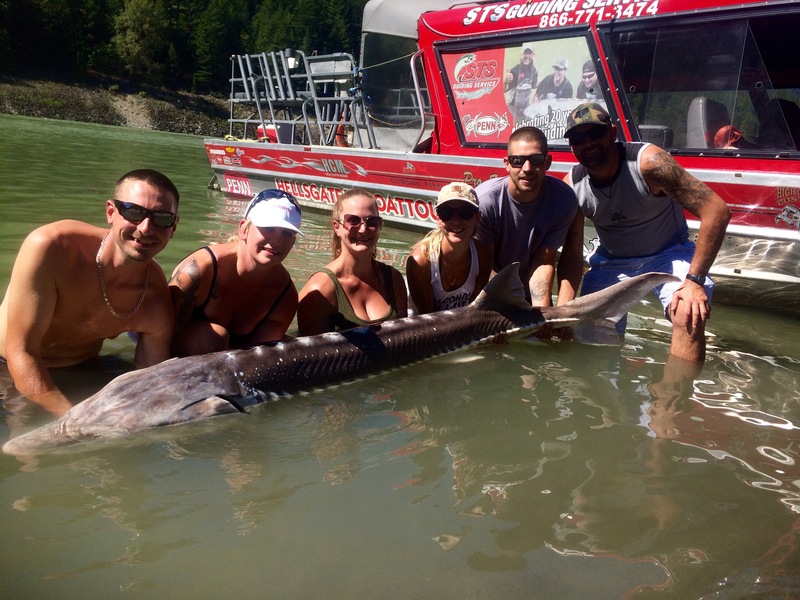 Canyon sturgeon fishing with a Hells Gate Tour make a great family or corpora event. Our 2 night 2 day package includes accommodations, breakfast, lunch and 2 full days on the water. Special trade show price- $550 pp based on 4 anglers sharing 2 rooms, 1 boat/ guide. BC Boat & Sportsman Show is only a few weeks away. STS will once again attend the show with our booth in Hall A. If your looking for some free tickets, head over to our Facebook page and enter to win 2 free tickets. For all our local clients, this show is a great place to book your 2018 fishing adventure as we have several sales going on. Drop by and save at the show. For 2018 we will be offering some great deals on guided fishing, kayak tours and jet boat tours. Visit our website or give us a call to book. Sturgeon fishing is just getting started on the Fraser, we have been out on a few charters mostly tagging smaller sturgeon for the FRSCS. Fishing will begin to pick up by early March with our next peak fishery between March 15 to May 15. Fishing has been good to excellent since our last report, our guides working out of Mission have been putting some amazing fish on the beach including a 9ft 8 sturgeon by Ryan. Most of the best bites are happening on the incoming tide or just after the tide turns, the hard outflow tide has been the most challenging. Best baits have been salmon heads and now stink bait seems to be the key although we caught some nice fish on sockeye roe & chum roe this week so probably best to have a little bit of everything. Some of the best sturgeon fishing is still yet to come, as many of you know, October and November are the best two months and the good news is we still have dates to fit you in. Tom, Thomas and the rest of STS guides are fishing hard 7 days a week and are dialed in. 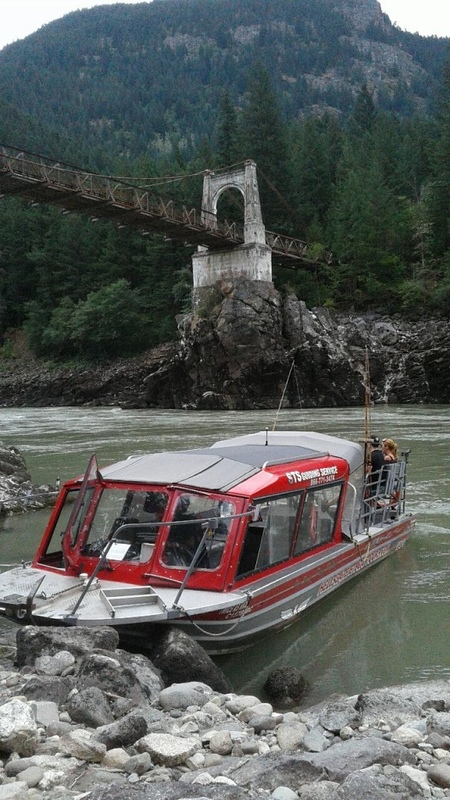 If you are looking to book with some of the top guides on the Fraser, now is the time. Sockeye Salmon continue to migrate up the Fraser but as of today the river closes to retention. There are lots of Chinook, Coho and now Chum entering the river on each high tide so it’s time to switch from bottom bouncing and start some real fishing using bar rods, spinning rods and fly rods. Our favorites for Coho are the Gibbs Crocs, Tee Spoons and bar fishing with Yakima baits spin n glos. Fly fishing is getting started with our groupo from Spain, they are catching some big chum on the Harrison River. Float fishing with colorado blades and jigs work best if you don’t fly fish, just remember to dead drift your presentation for best results. The Fraser and location tributaries are fishing well and now is the time to get out if your not tired from the long summer of sockeye fishing. The Vedder is producing some nice Coho and Chum as well as those big white meat Chinook. Best to float fish with cured salmon eggs, orange or red wool, colorado blades or get out the spoons and toss some Gibbs hammered brss red firestripe crocs. Last but not least we are giving away some great prizes on our Facebook page, make sure you follow us and post to win some Gibbs/Delta Fishing tackle packages. Another STS original hashtag to follow #SturgeonFace … The face you make when you have a big one on the line. 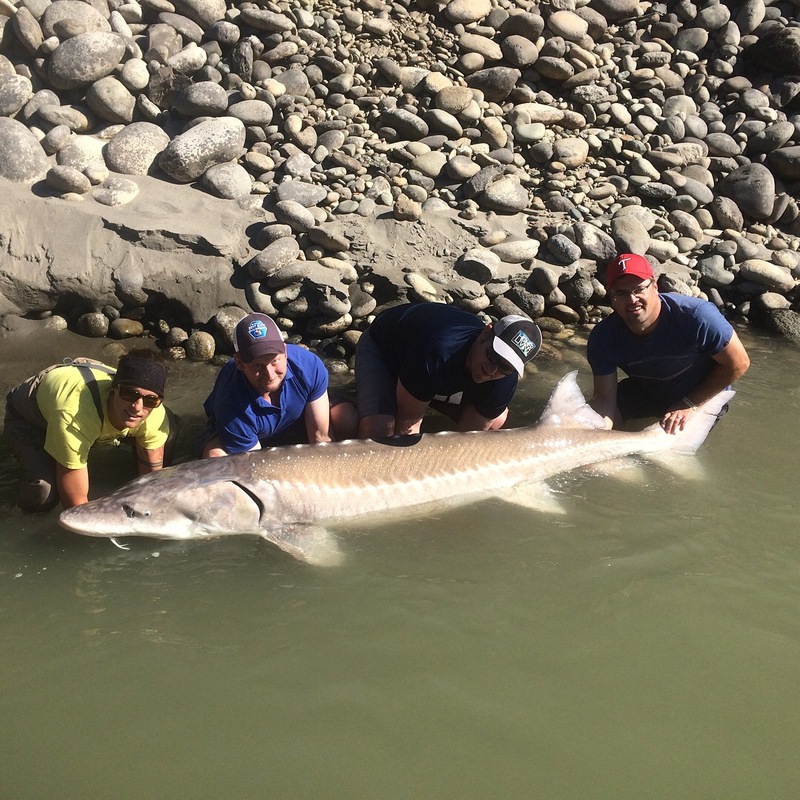 This 10ft 5 inch Sturgeon is one of the largest sturgeon landed on the Fraser so far this season, congratulations to Jake Martens and friends from Grande Praire, Alberta.